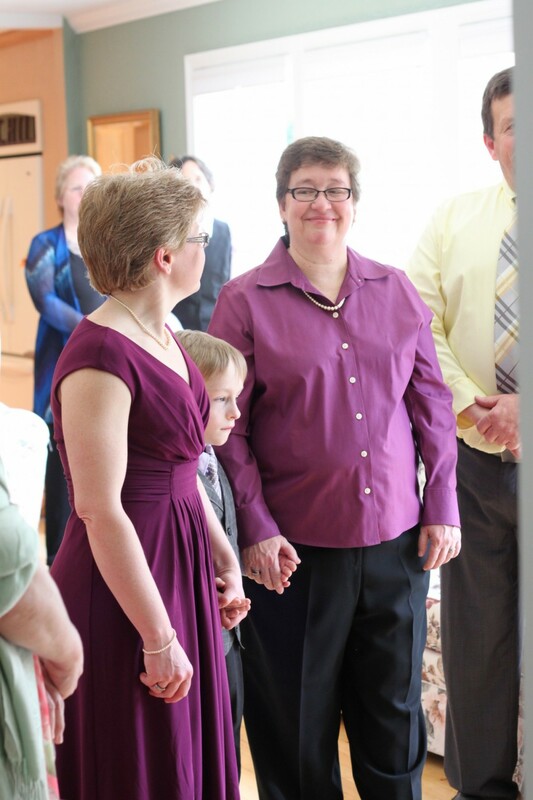 On April 14th, I married Shelly and Belinda in a semi-casual ceremony at the home of Shelly’s parents. Though it is not wedding related, I have to say that I was incredibly impressed with Shelly’s parents. Together, they built custom kitchen cabinetry out of wood cut on their own land. Shelly’s mom designed and Shelly’s dad crafted. Gorgeous, functional and amazing…Much like their marriage. Without a doubt, the commitment they display has trickled down to their children. Now, I always enjoy the pleasure of sipping wine and champagne. Okay, so I wasn’t really sipping. Whatever! It’s a wedding! Eating strawberries, whipped cream and to-die-for cake are a few of my favorite things as well. 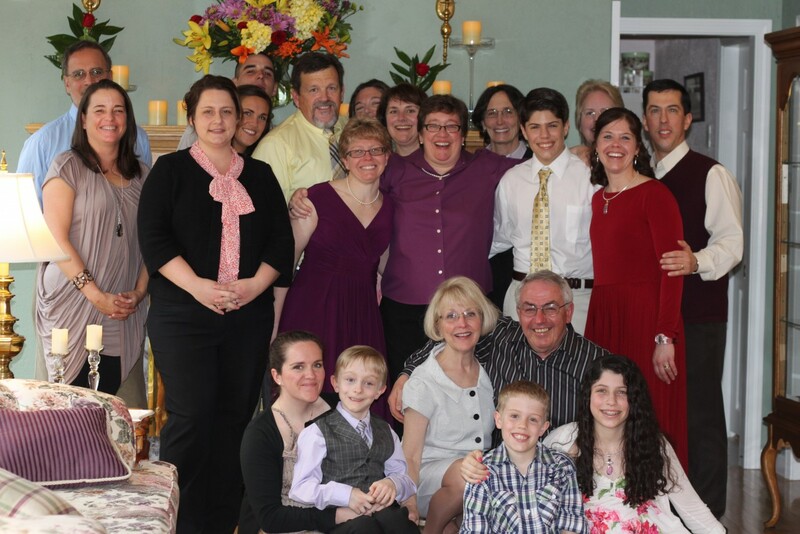 But best of all…Getting to hang out a bit with the brides and their family and friends. What a crew. They’re warm, loving, tolerant, accepting, full of zest, multi-talented (from keyboards to cabinets, they have it covered) , and they put fun right up their at the top of their priority list. Now those are my kind of people! When I arrived, I was almost overwhelmed at the positive energy within this group. They tease each other warmly, show affection without reservation and laugh without hesitation. Shelly and Belinda have a wonderful son named Cameron, who was as big a part of the day as Shelly and Belinda themselves. Cameron had made it clear that the three of them were getting married right from the get-go when they filed their marriage intentions. So we incorporated a vow from Shelly and Belinda to Cameron to honor his place in their family. Cameron himself was given the honor of pronouncing them all as a family at the end of the ceremony, a job he carried out flawlessly. The joy over this marriage didn’t end there. All of those present were clearly elated to be gathered for such a special occasion. Shelly sent me a few photos and the moment I opened the one of the entire group, I again felt that same positive energy just oozing from the photo. 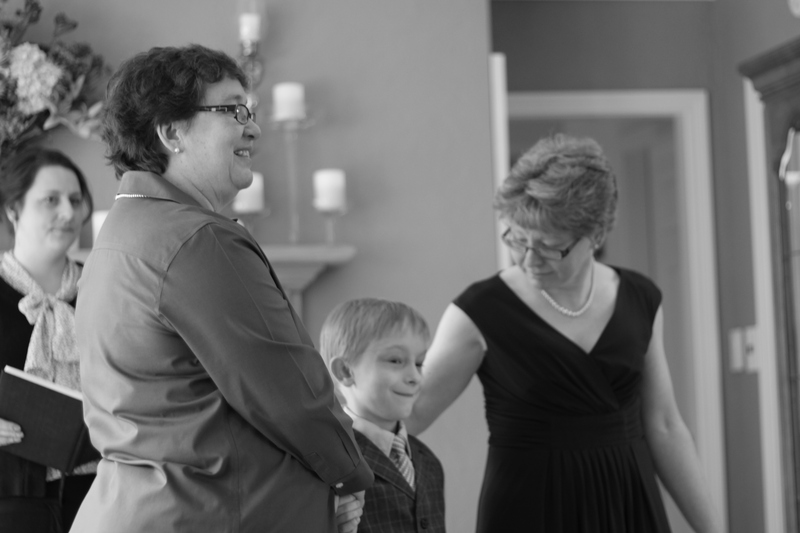 I am loving the big smiles all around…Evidence of a truly happy moment. 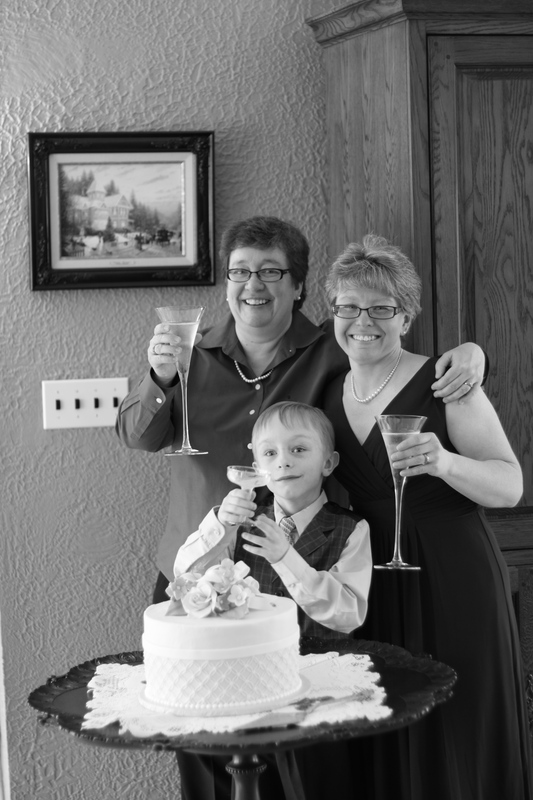 During a toast to the newlyweds, Shelly’s mother expressed a simple wish: Peace and harmony. Congratulations to Shelly, Belinda, Cam and the rest of the group. Thank you so much for allowing me to be part of such a fun filled afternoon!